Benjamin Steiner cut a distinctive figure with his dapper clothes, trilby hat and twinkly eyes. But belying that appearance, his body covered in scars and the number A-421734 tattooed on his left forearm, was a terrible truth. 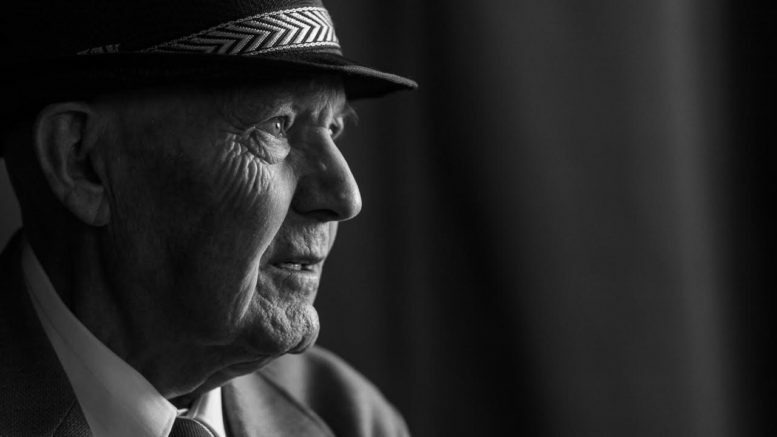 Steiner was a survivor of Auschwitz, and the subject of the notorious Dr Josef Mengele’s experiments. The small, softly-spoken man lived in New Zealand most of his life. He was a professional and passionate saxophonist and worked as chief purser for the airline that became Air New Zealand. Born in 1935 in Budapest, he was eight years old when he was transported to Auschwitz – Birkenau in a railway wagon. By 1944, 12,000 Jews were being delivered to Auschwitz on an average day. Winston Churchill once described the treatment of Hungarian Jews as the “greatest and most horrible crime ever committed in the whole history of the world….”. Yad Vashem, says that between May 15 and July 9 1944, about 430,000 Hungarian Jews were deported, mainly to Auschwitz, where most were gassed on arrival. In total, 580,000 Hungarian Jews perished. The trip to Auschwitz was seared into Benjamin Steiner’s memory. On arriving at Auschwitz, the Nazi officers decided which direction people would be sent. The Germans were selecting who was going to die straight away, who was going to work and who they can use as an experiment. Most of the experiments were for children, to the right for working and to the left was the gas chambers. I was one of the children who were selected by this nice smiling officer, Karl Hoecker. We were escorted away from the rail yard to a building that looked like a hospital ward. Every day, four to six children were taken to the hospital at Birkenau for experiments. He did so, and because Benjamin and Eva were holding hands, they were taken and deported together. They slept in the same barracks at Auschwitz, Eva in the top bunk and Benjamin the bottom. She used to wake him up every morning by saying “wake up sleepyhead” and reaching down, tickling his neck and hair. One morning, after Benjamin had come back to the bunk in an almost unconscious state following another experiment, she did not wake him up. He never saw her again. In 2015, at the International Holocaust Remembrance Day at the Auckland War Memorial Museum, a slideshow about Benjamin was played to those attending. He talked of a Hungarian Jewish nurse, Ruth Steiner. One day, after more experiments, he was so weak that when the SS officer came to rouse him and take him away, he could not get up. The Nazi began beating him. Mrs Steiner grabbed him by the hand and tried to stop him, saying “can’t you see he’s not well? He can’t go any faster”. The officer pulled out his revolver and shot her dead. Benjamin watched as he and two other guards dragged her lifeless body away. In honour of her memory, he later changed his surname from Schneider to Steiner. A friend of mine, Juliet Moses, told me later that a man sitting in front of her had broken down and sobbed uncontrollably during the slideshow. When he stood up to speak, she realised the man was Benjamin Steiner. There wasn’t a dry eye in the house. Benjamin Steiner had survived 10 months in Auschwitz when it was liberated by the Red Army on January 27, 1945. He was now a nine-year-old boy, inexorably scarred. It is estimated that 1.3 million people were sent to the camp between 1940 and 1945 and at least 1.1 million of them were murdered. The Red Cross organised for Benjamin to be sent to a refugee camp in Denmark and later he found his parents who, miraculously, were still alive. The Nazis had needed their skills. His father, an engineer, worked in a V2 rocket factory and his mother, a doctor, in a military hospital. It took a year for them to reunite, during which time he didn’t know if he still had a living parent, and his parents didn’t know if their only child had survived. Ten years later, living in Budapest, Benjamin got involved in student protests over the Soviet regime and ended up having to flee the country. This also had a profound impact on him. Twice married, with four children and three grandchildren, Benjamin Steiner was always positive about his adopted country and grateful that he had settled here. At his funeral, his daughter Mia spoke of his energy, sense of humour, giving nature, and above all his love for and pride in his family. His past was never far from his mind though, and he was an avid watcher of the History channel. He told reporter Keren Cook that he watched about 150 films on the Holocaust but had never seen one that depicted the treatment or fate of Hungarian Jews sent to Auschwitz. That changed on one remarkable day in 2011. While watching TV he recognised himself being unloaded from a railway wagon at Auschwitz. He immediately identified Karl Hoecker, the smiling SS officer who had selected him to go one way and survive, and hundreds of others to go straight to the gas chambers. Hoecker had always denied that he was ever at Auschwitz and Steiner was called on to testify. He was spared the ordeal when Hoecker died before the matter got to court. In the last few years Benjamin Steiner unlocked the painful recesses of his mind and began talking about his harrowing experiences in Auschwitz. When I saw him in January, at this year’s International Holocaust Remembrance Day, I asked him how he felt about telling his life story over and over. He smiled, and told me it was “his duty,” and that it was important he helped educate a younger generation on the Holocaust. Last week, illness claimed Benjamin Steiner’s life, a damaged life determinedly lived to the full, that so nearly ended in one of history’s darkest chapters nearly 75 years ago. This article was written by Mark Jennings, with parts of an interview Benjamin Steiner gave Auckland journalist Keren Cook, and originally published by Newsroom.